Home Music The Killers Have Their Own Wine…. 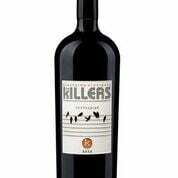 The Killers Have Their Own Wine…. Ahead of their headlining performance at BottleRock 2018, The Killers announce an exclusive wine and pop-up experience May 25th – May 27th at RiverHouse by Bespoke Collection in Napa, CA. 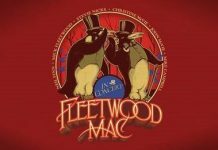 Produced in partnership with Bravado, the 3-day experience will feature a range of custom labeled wines inspired by the band as well as limited-edition merchandise and apparel. Fans and wine aficionados can savor the four, limited-edition dedicated varietals and blends while shopping The Killers’ apparel collection and exclusive wine accessories including wine totes, wine glasses and corkscrews. The custom wines will be available for festival goers during the Napa Valley festival. The limited-edition merchandise will only be available to purchase at the pop-up this weekend. This is the second year in a row RiverHouse by Bespoke Collection has partnered with a BottleRock Festival headlining artist to bring fans and wine aficionados limited-edition, dedicated varietals and blends while shopping exclusive, artist branded merchandise. Last year, RiverHouse created such a sensation amongst BottleRock fans, the lines wrapped around the block for three days straight. The pale pink 2017 Bespoke Collection “The Killers” Rosé is aromatic and inviting, with notes of wild strawberry, ruby grapefruit, watermelon, and rose water. The palate is lively and mouthwatering with gorgeous fruit and a bright mineral finish. Crafted by winemaker Aaron Pott, this wine’s bright presence and intensity of acid on the palate are defined through cool climate Sauvignon Blanc vineyards in the Carneros region in Napa Valley. The Cabernet Sauvignon opens with aromas of blackberry, plum, cola, fig, cigar tobacco, vanilla, cherry, and cocoa. Smooth upon entry, this medium-bodied wine leads to a balanced mid-palate with pleasant acidity. Flavors of toasted brioche, toffee, cola, and clove come together for a lingering finish.